Google Earth is one of the most innovative software the big G has developed so far. The free tool lets you browse the whole globe without the need for any fancy equipment. Roam freely around the blue planet, explore new places, and augment your geographical knowledge by simply sitting in front of the computer. Google Earth’s magical navigation lets you ‘fly’ to any place that comes to your mind. Whether it be the architectural marvels of Havana or the ruins of Babylon, Google Earth lets you browse almost any marvel on the planet. Furthermore, the tool also lets you see 3D buildings, imagery, and terrain. You can also find cities, places, and local businesses, thus making Google Earth a rather useful tool for frequent travelers. Other interesting features of the application include the ability to visit art museums, baseball stadiums, world skyscrapers, and soccer stadiums. That said, despite all its nice features and amazing capabilities, Google Earth comes with its fair share of flaws. Despite being made available on almost all popular platforms, including on our beloved Linux, it has been widely criticized by the Free Software Foundation (FSF). Written in Qt, the Linux version of Google Earth uses the controversial Digital Rights Management (DRM) thus turning the FOSS community against it. In fact, an open-source version of Google Earth has been made a high priority and is included in the list of High Priority Free Software Projects. Even though the FOSS version of Google Earth is not available yet, there are certainly some great alternatives you can try natively on your Linux box. 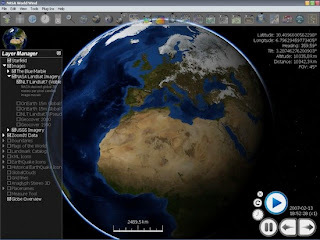 Despite the fact that these tools don’t quite offer the same amount of features as Google Earth, they do, however, let you browse the earth and come with all the essential features the proprietary tool offers. Developed by the revered NASA organization, World Wind lets you zoom from satellite altitude to any place on earth. Using Landsat satellite imagery and shuttle radar topography mission data, you can view 3D images of the Earth and increase your geographic knowledge. Written in Java, World Wind is cross-platform, open source, and is developed on open standards. 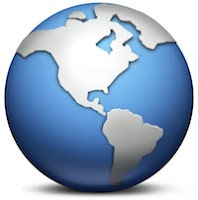 You can browse the globe easily either by using your mouse or by taking advantage of the numerous keyboard shortcuts it comes with. NASA World Wind requires a 3D video card with the latest drivers, so NVIDIA and ATI cards are generally preferred. Marble is a virtual globe and a World Atlas that you can use to learn more about the planet Earth. Whether you want to increase your geography knowledge or check out new destinations for traveling, Marble lets you zoom into the remotest corners of the earth. Part of the KDE Education project, the open-source tool not only lets you look up places and roads, it also leads you to links of Wikipedia articles of that particular location. Marble offers classroom-style topographic maps, a satellite view, street map, earth at night, and temperature and precipitation maps. All maps come with a custom map key that makes it easier for educators to use Marble in classrooms. Marble is part of the KDE suite of application, and looks even more beautiful if you have a K desktop environment installed. In fact, KDE users can take advantage of the marble widget that they can drop onto their desktop. One great thing about Marble, as compared to Google Earth and NASA World Wind, is that it runs decently even without any hardware acceleration. Moreover, the ability to take advantage of third-party plugins make Marble much more interactive and fun to use. Plugin sources include OpenStreetmap, Wikipedia, KML, and GPX. Quick to startup and easy on the system, Marble is perhaps the best alternative to Google Earth you can have on any platform and not just on Linux. Surely worth a try even if you’re not a fan of KDE-based applications. Never liked Google Rarth very much. Marble looks extremely interesting. I'll have to try it as soon as possible.